Looking for a DIY gift box you can knock up in minutes? No time or inclination for origami? 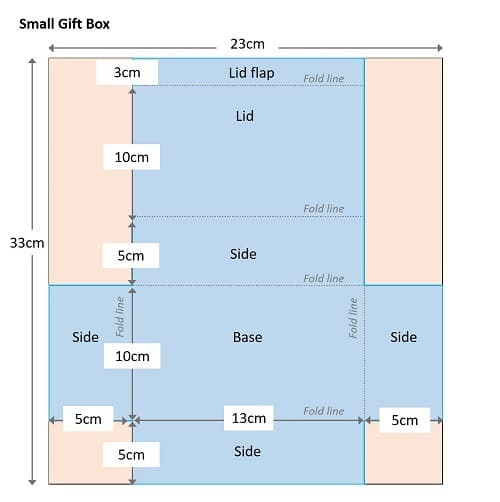 Nope me neither – you need to know how to make a simple gift box, without learning complicated folding techniques! This rustic looking, and most importantly, INSANELY EASY, DIY gift box ticks all those errr…… boxes. I’m pretty sure this is going to be one of the best DIY gift box ideas you will ever come across. Bold, but I hope you agree! 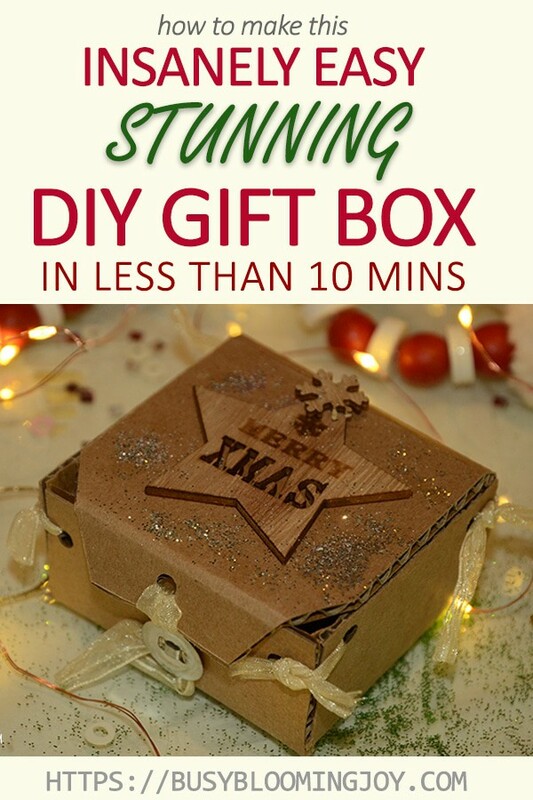 This tutorial is short and sweet, it has to be – this DIY gift box is just too simple to be anything else. So that leaves time for the fun bit, the decorating! Dress this gift box up big time at Christmas or keep it pretty naked for a simple thank you. You decide! 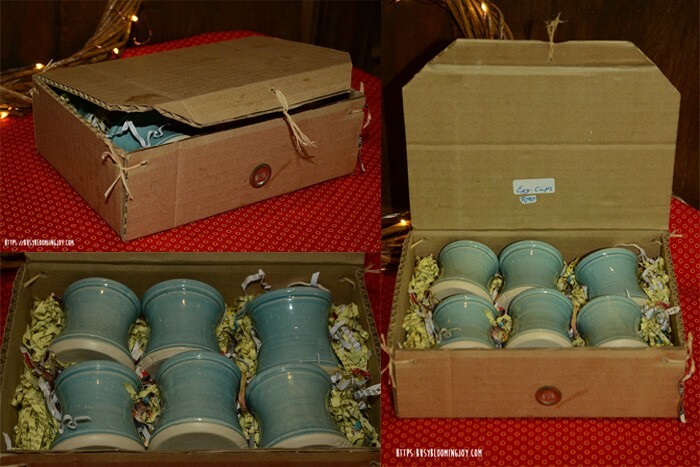 Check out this post for ideas on how to decorate your DIY gift box. It’s not meant to be precise and perfect looking. 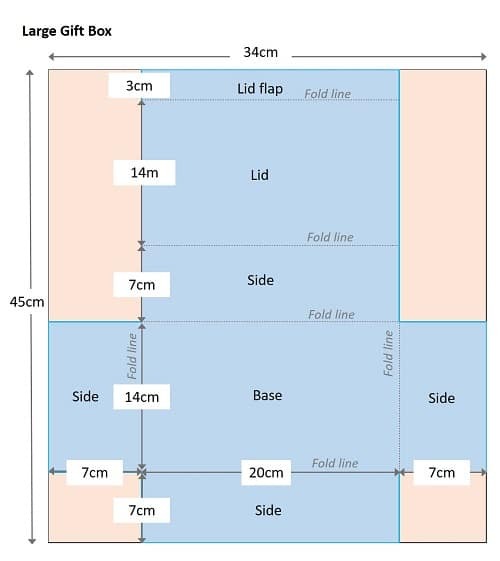 So if your measuring is a bit out or you folding is a little bit dodgy or you punch a hole too close to the edge it doesn’t matter! 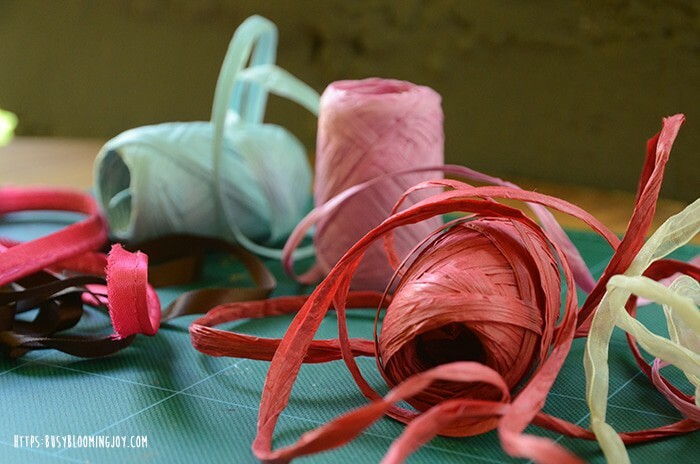 That’s my kind of crafting – I just don’t have the patience and time to fiddle about getting things just so. Ever have a gift for someone that is tiny in size and looks a bit insignificant on it’s own, a lip gloss for example? So you end up buying something else to go with it. So why not put your little gift in a beautiful homemade gift box? Problem solved. 3 – Cheap as chips! 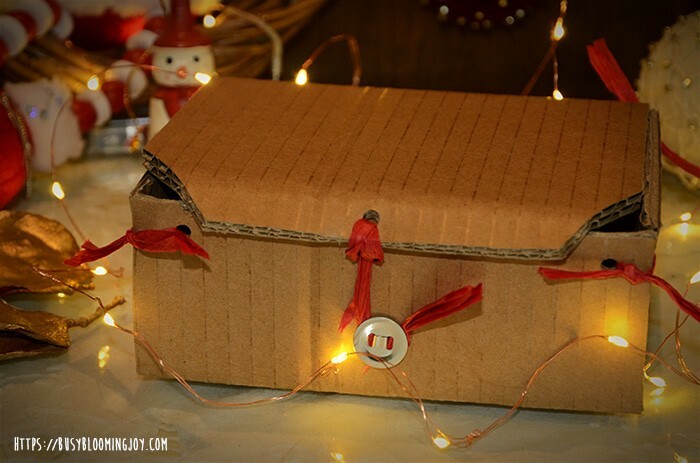 As you’ll see, there’s nothing more to this box than cardboard, some twine plus a little decoration if you fancy. You can never go wrong with edible gifts – these gourmet edible bites look delicious! Next on my crafting list is this peaches and cream handmade soap – another one that looks good enough to eat! I recently bought a set of handmade egg cups from the potter who had crafted them, down in the stunning Western Cape of South Africa. He was busy at his potters wheel when I picked them out and very apologetic about the box he had thrown together to display them in. I immediately fell in love with it! I have been wanting to recreate this design ever since. With a bit of sprucing up I knew this box could be turned into something special easily – a stunning DIY gift box in the making! If I’m ever in the area again I will have to take him a few of my efforts. I can’t imagine he’ll mind that I took his idea. From seeing the displays in his workshop, there’s no doubt his talents are in rather a different league to mine…. We live in the depths of the African bush. Craft supplies are hard to come by! I had all these materials in the house already, with the exception of the grip binders, which I found in town at the stationers. 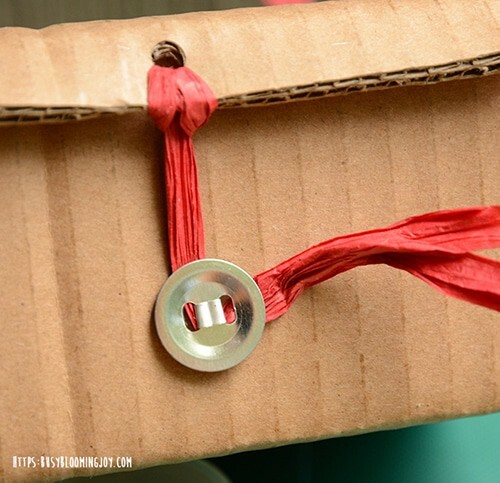 The thread you use to tie your box together may be all the decoration you want or have time for. Otherwise, there are a ton of things you can try. 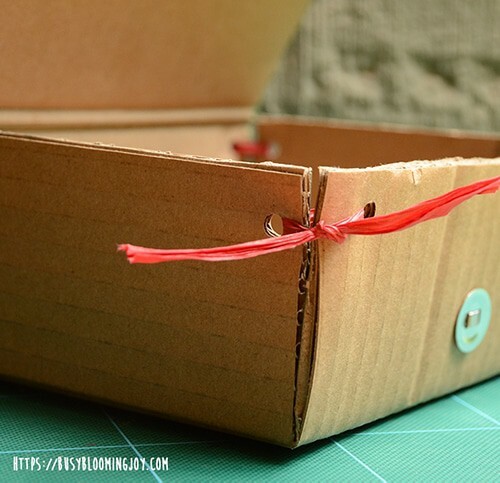 If you’re a regular crafter you will probably have a good idea of how you want to decorate your box. 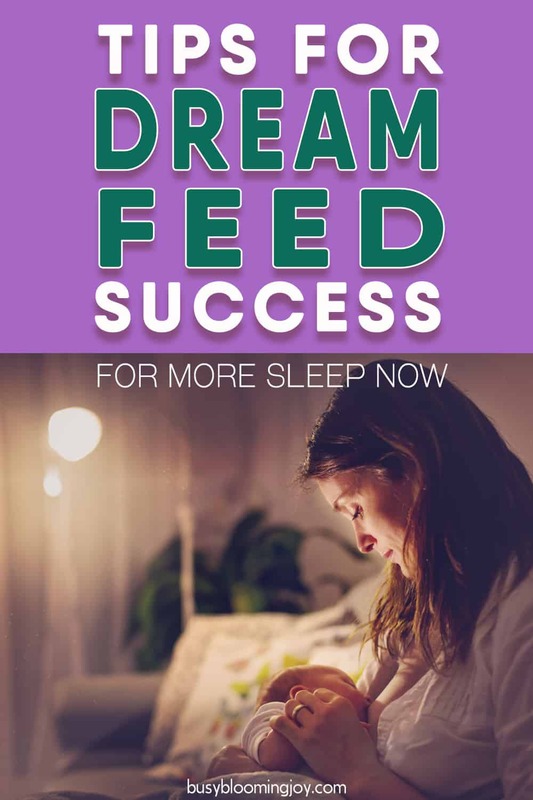 If not, and you have kids, why not get them involved? Foot, hand and thumb prints and a bit of glitter and glue are always a go-to with my kids for some messy, colourful fun. Otherwise you can cut shapes out of wrapping paper, thread some beads through the lid, use some ink stamps, stickers, pompoms… the possibilities are endless. We live next to my mother-in-law who’s a hoarder of note, particularly when it comes to ribbon, embroidery thread, beads and fabric – perfect for decorating my gift boxes! I had so much fun decorating these little gift boxes that I decided to do a whole post on it. Hop on over and check it out here. 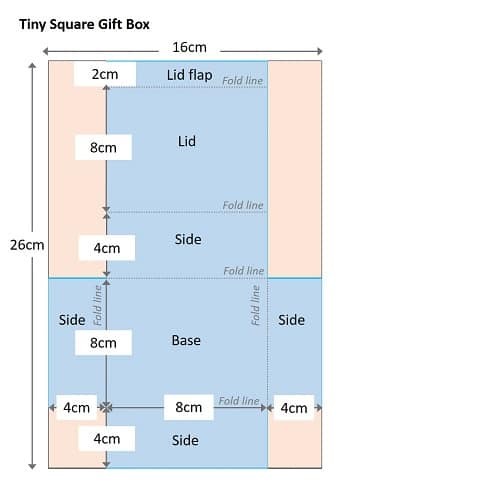 Avoid very small boxes which won’t have enough flat cardboard to play with… you need the largest side to be at least 27cm x 16cm to make a box with dimensions 8cm x 8cm x 4cm. Any smaller than that and it becomes a fiddle and you won’t fit anything in, so what’s the point! Try and find boxes that are undamaged by water or too crumpled. Don’t worry too much about print/logos etc. This will be on the inside of the box so by the time you’ve put the gift inside you will only see the underside of the lid. Do try and avoid stickers on the inside of the lid – they are very difficult to get off and ugly left on! Just cut it roughly at this stage. Don’t try and cut the exact size, it’s easier just to tidy up the sides after and when you’ve decided on the size. You can check out what these different sizes look like at the end of this tutorial. Of course you can make this any size you want, depending on the size of cardboard you’re starting with and the size of the box you want to finish with, but these should be a good starting point. 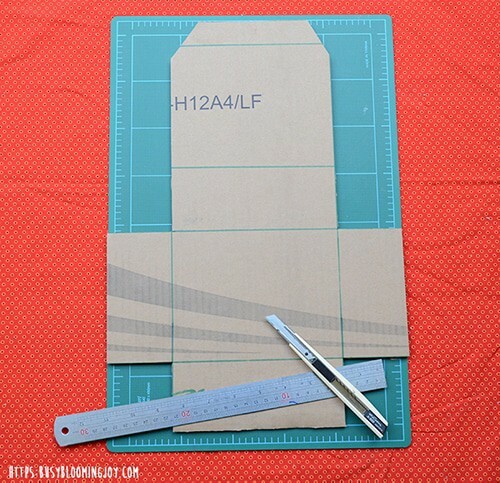 I’m making the medium gift box in this tutorial. 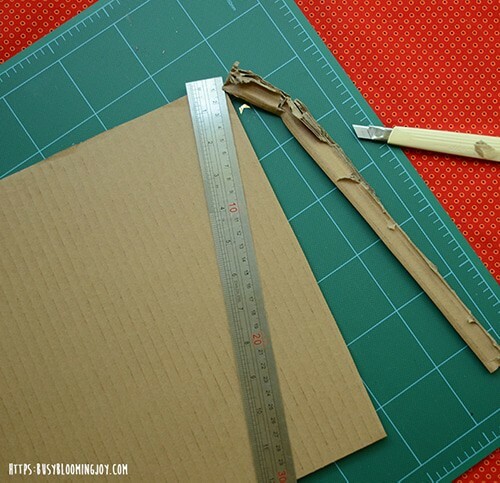 Using the dimensions you’ve decided on at the previous step, measure out and cut your piece of carboard to size. 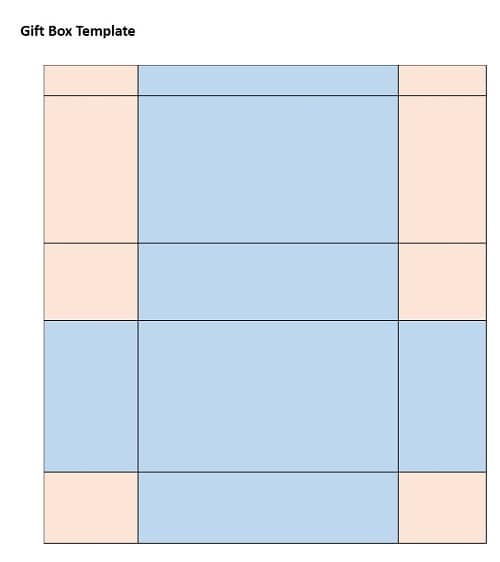 You may only need to trim a few edges depending on what size you want your box to be and the size you started with. 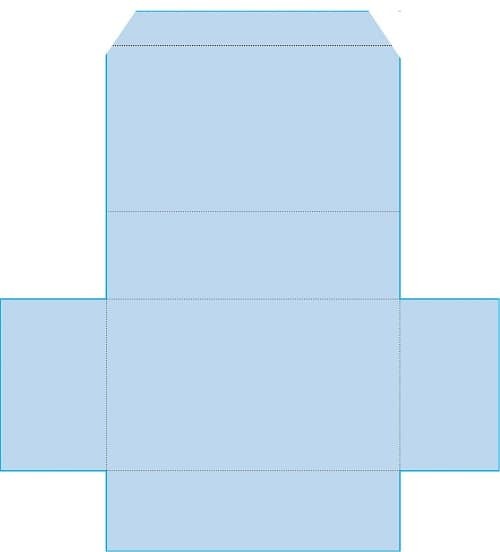 Remember to use the side of the box with the logos/any print when marking up – this will then be the inside of the box. As in diagram and photo below. You can see that the corners of the lid flap are cut off – I just did this free hand by eye. You could always measure and mark these lines if you prefer. 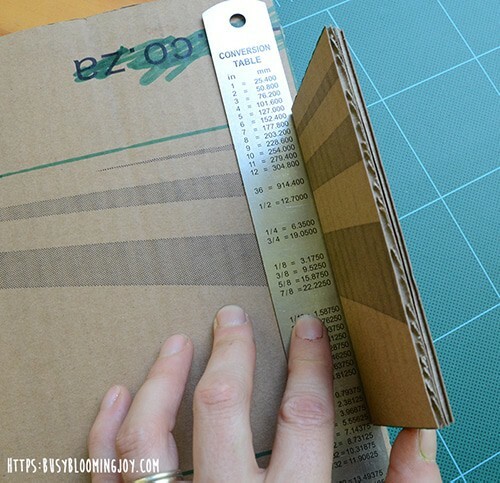 I found the easiest way to do this was fold the cardboard against the ruler – you need to push with your hands close to the join line, otherwise the naughty cardboard can fold in a different place. If it does don’t panic ! 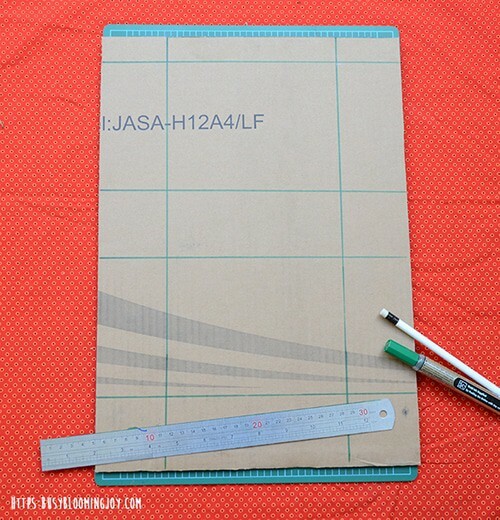 Just start again – you won’t notice that crease when it’s finished. That’s the beauty of this box! 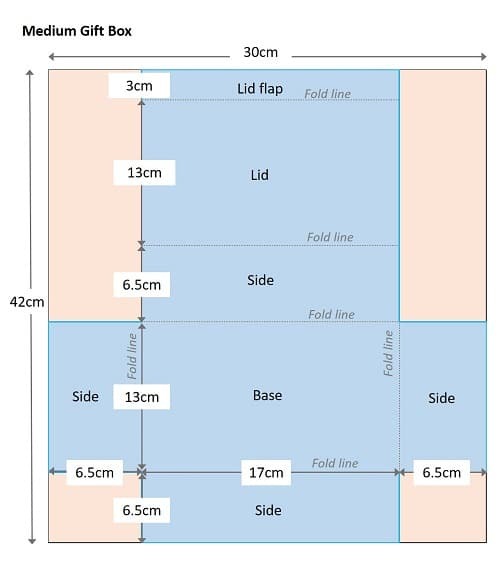 The reason I recommend to fold the lift flap last is that when you fold and tie up the box you may find you need to re-fold the lid flap. Maybe it was just me and my too quick measuring but chances are things will be a bit out! 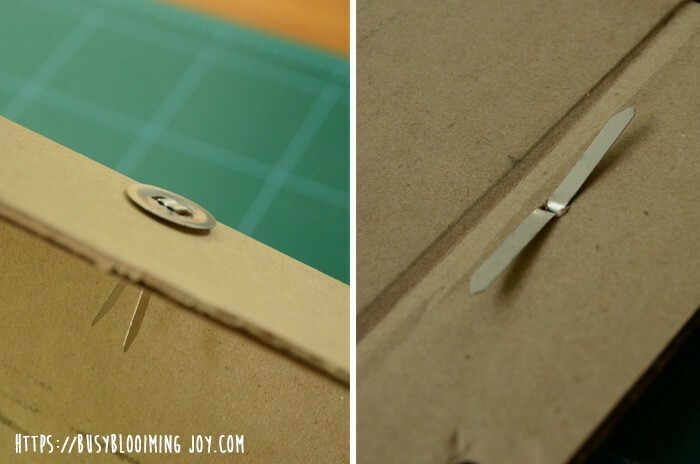 You need a bit of force here, firstly to get the cardboard into the hole punch and secondly, to get it far enough into the punch that it doesn’t just cut a semi-circle out of the side (as I found out a few times in the beginning). Practice on a bit of scrap cardboard first. 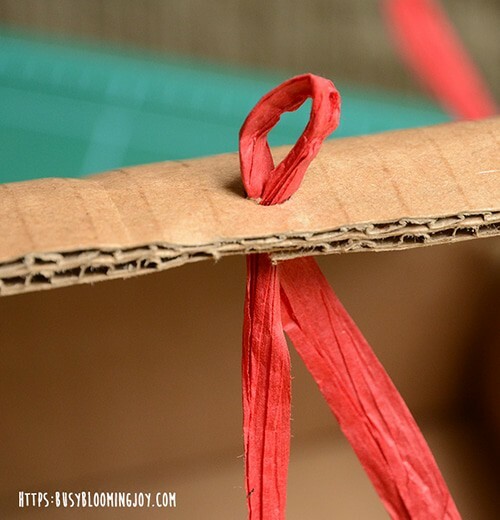 Use a nice strong knot to make the box sturdy. You can use a bow, but tie it after the knot so it can’t come undone. 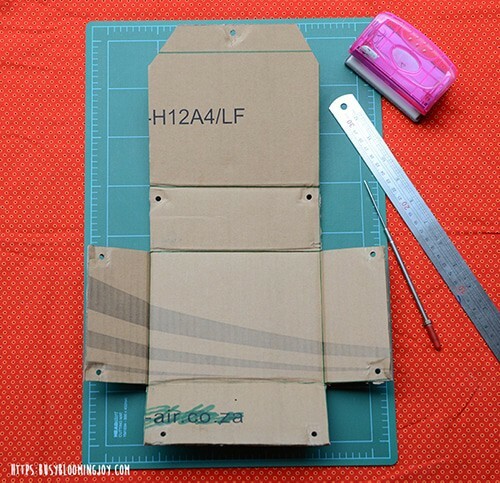 Check where the lid flap needs to fold by shutting the lid and seeing where it lines up. 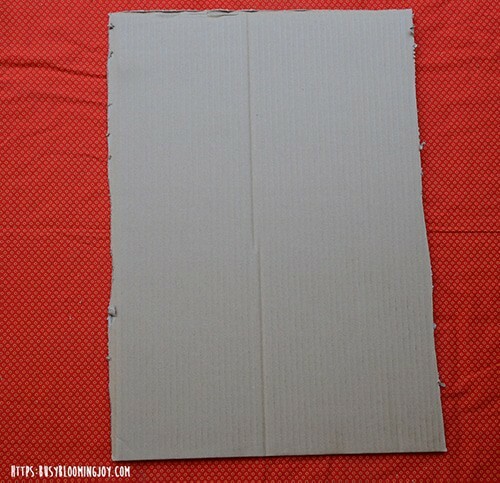 You may even need to trim the sides of the box so that the lid shuts nice and cleanly. 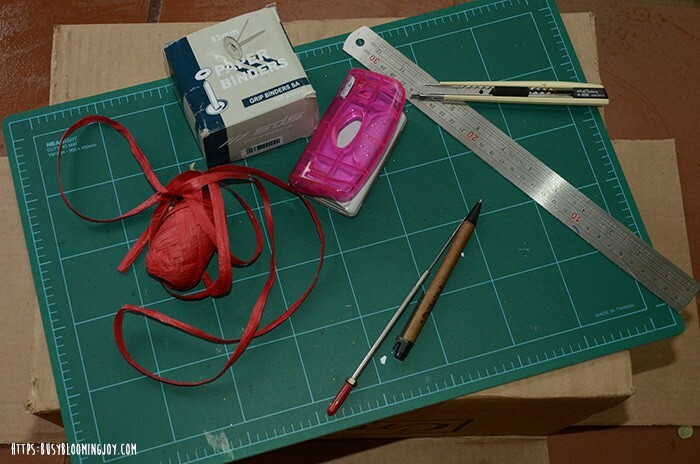 Fold the last piece of twine in two, push the folded end through the hole and loop the two ends through. You can now shut the box by tying the loose end around the grip binder. 12. Admire your finished box! Now seeing as that was so quick, you should have a few minute to spare to decorate! Read this next post for some stunning decorating ideas. Happy box making! 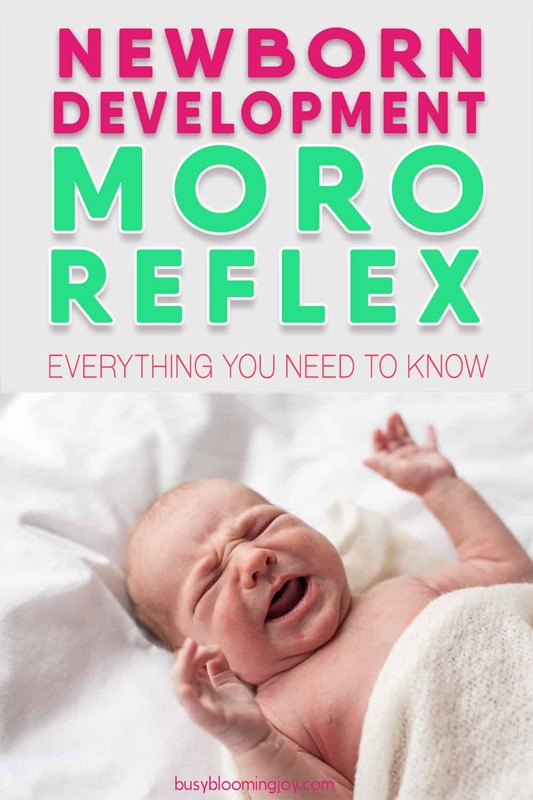 The Moro Reflex Uncovered: Everything You Need To Know! 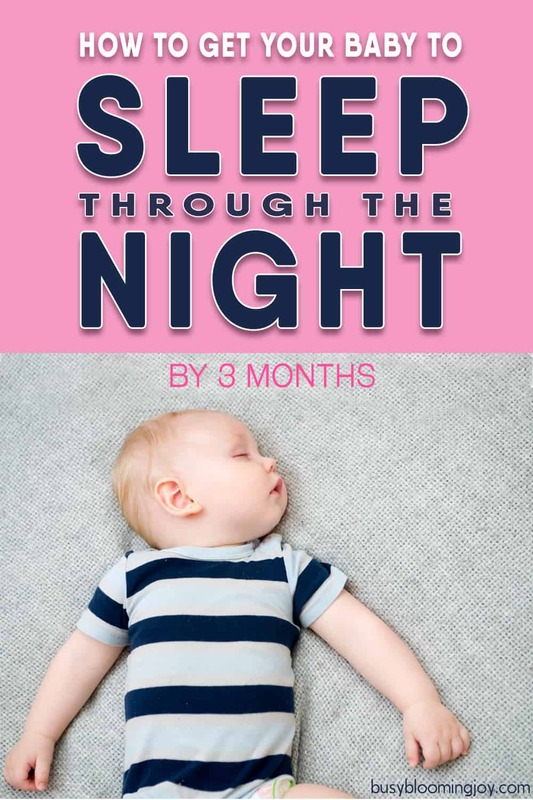 Newborn Sleeps All day? 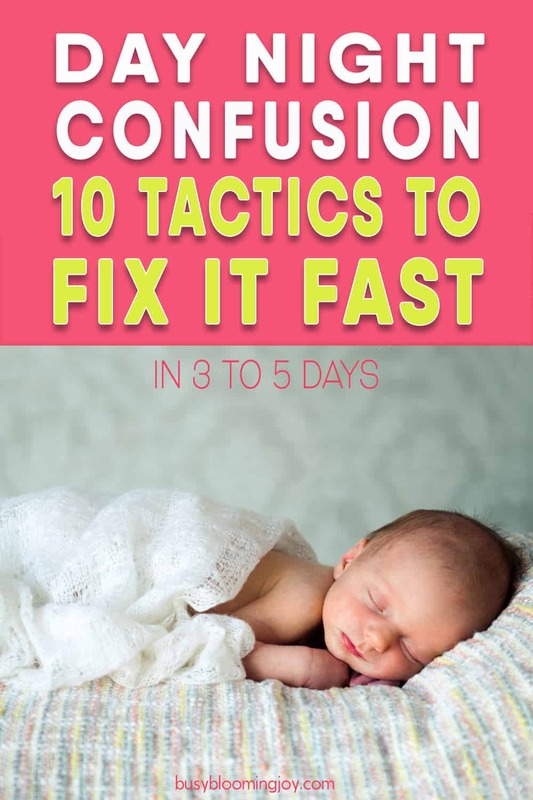 10 fail-safe tactics to fix day night confusion fast! 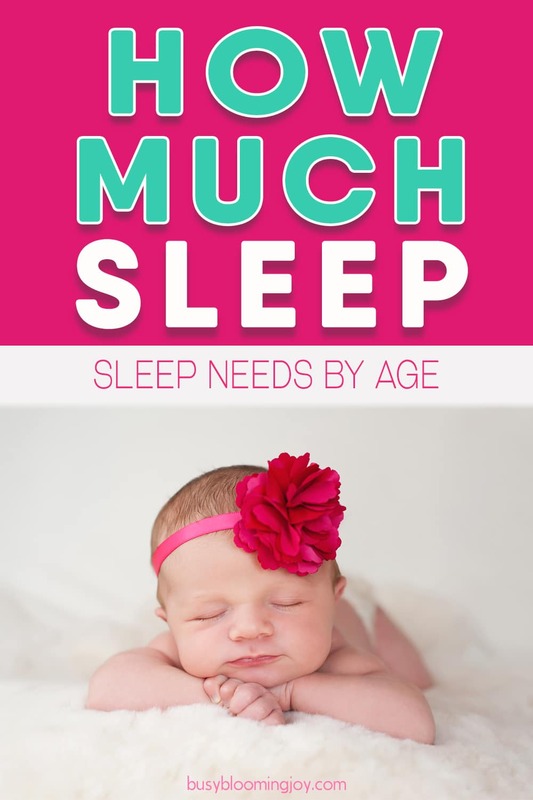 Baffled by how much sleep baby needs? 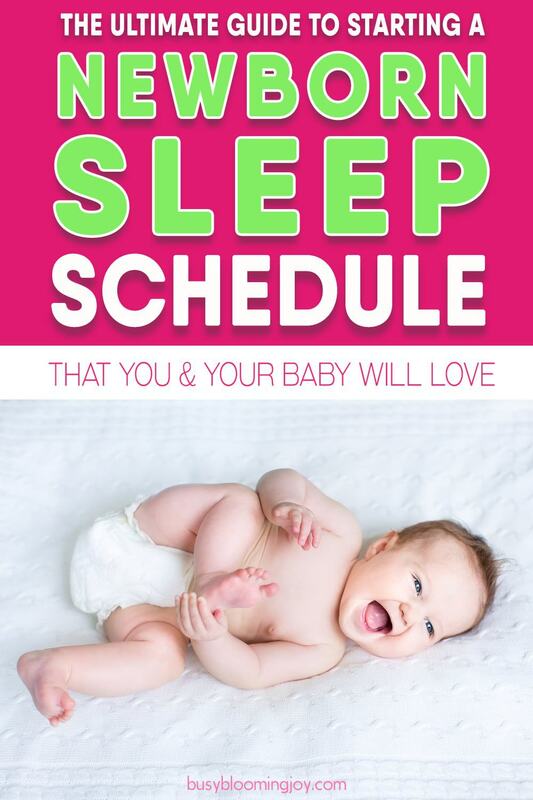 Baby sleep chart to the rescue!